We have had wonderful press coverage for the visit of Holocaust survivor Olga Horak, who toured 8 schools and addressed well over 2000 students. 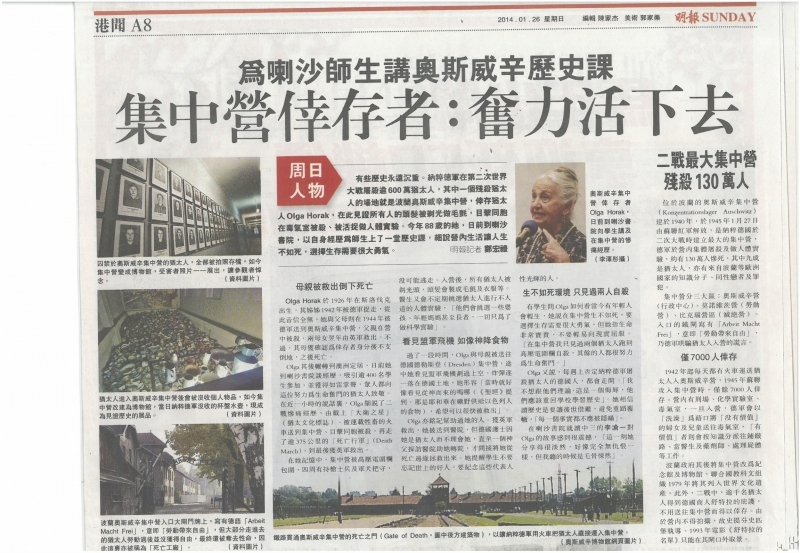 Ming Pao – a Chinese daily and the Young SCMP covered her talk at La Salle College and Apple Daily published a wonderful interview. Please click here to read the Apple Daily interview in Chinese and click here for an interview in the SCMP Post Magazine and here for an article on page 40 of The Correspondent.